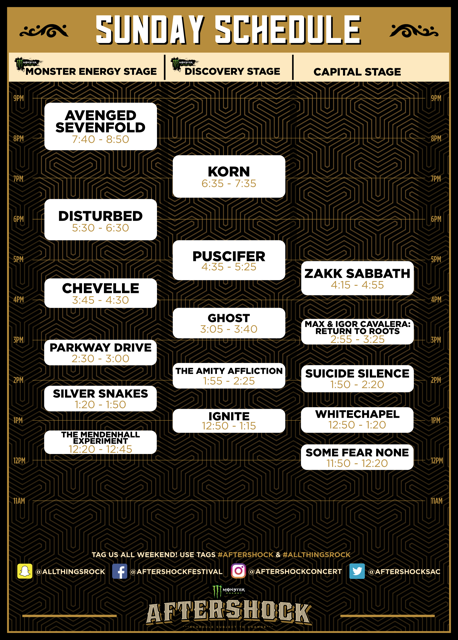 Toon's Tunes : Aftershock schedule: stage times for all bands, plus much more!!! Aftershock schedule: stage times for all bands, plus much more!!! 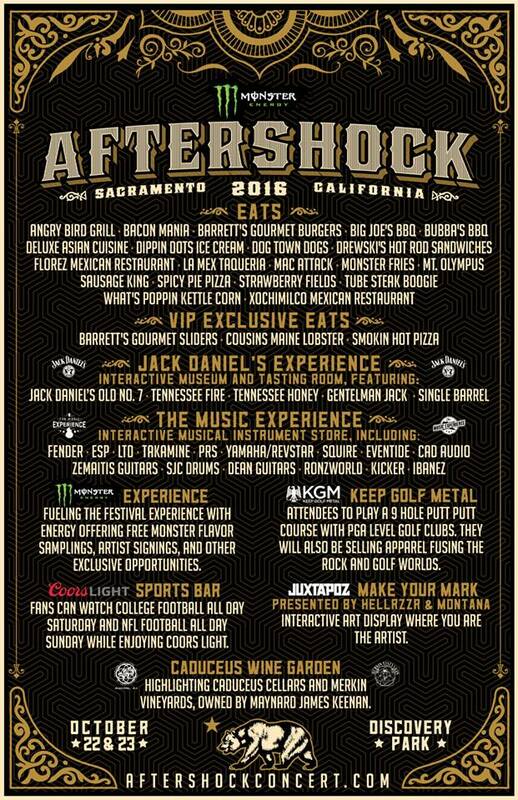 The band schedules for this year's Aftershock festival, in Discovery Park, Sacramento, have been announced! 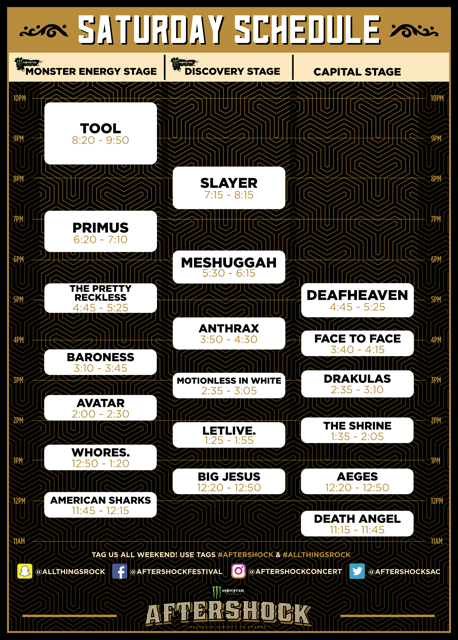 This is going to be a good weekend... if you haven't bought tickets yet, I wouldn't wait much longer, as I understand that they are close to sold out. One thing that I really love about these festivals, is that they always give back to the people... this year, a portion of every ticket fee is being donated to the Living the Dream Foundation. This organization brings the music industry together with fans who are fighting terminal illnesses, by giving them All Access VIP experiences backstage with their favorite bands and artists. Find out more about the foundation on their website.